By Former Prime Minister John Key. Hi. 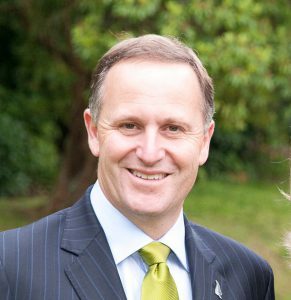 I’m John Key, Prime Minister of New Zealand. One of them, anyway. If anyone knows who the current one is, that would be good. I need to send them a letter. Well, I like planes. I think most New Zealanders would agree there’s nothing like that cool New Zealand air up in the sky, very high, on one of our state of the art Air New Zealand planeses. I like nothing more than soaring high above those special Southern Alps, and rolling down that window to take in some of that 100% pure kiwi goodness. It feels just wonderful as I let the wind flow through my hair and slowly lose consciousness with a nice pinot noir. I especially love the takeoff, ascent, cruise, descent and landing parts of flight, and I want to share that joy with the millions and millions of dollars in my bank account. That’s why, at the end of the day, I’ve decided to accept kind of, a directorship role, if you’d like, with Air New Zealand, because I love planeses. I love the whir and hiss of the engines, and the thrill of a good turbulence. As a director, I want to ensure that all New Zealanders have a fun and safe flight with funny intro videos about Hobbits, and also don’t crash into Erebus again. When I was a boy, I went on a plane with my mother. What I love about flying, is that you can do things in the air that, previously, you could only do on the ground, like sitting. Imagine going back to the olden days, and seeing the look on a caveman’s face when you told him that you could eat a little bag of crisps while sitting in a chair on its way through the sky to Queenstown. I think most New Zealanders would agree that Jetstar don’t give you a lolly at the end, and actually, we don’t like that very much. People want to know how things are going to change now that I’m a director, and I’m not sure, really. Not overly, I’d imagine. Bigger planeses, obviously. Windows you can roll down. I’ve never understood why there’s not an option for that. Uhm, more wings, maybe? At the end of the day, all I’ve really told the board I’m concerned about at the moment is modernising that iconic Air New Zealand dress code, making sure everyone looks their very best, with their hair neatly tied back. As far as I see it, if we get that one right, we can’t go wrong.